Prepay 5 get 6th peel free!!! If you’re looking for the latest in treatment room technology and are seeking highly driven results then this treatment is for you. 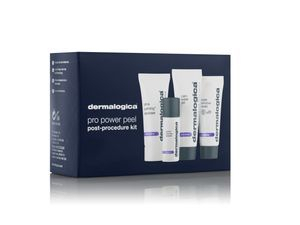 Our Pro Power Treatment is an action-packed treatment combining the Dermalogica Pro Power Peel, an Ion Actives Treatment and a Dermalux LED phototherapy treatment - all in 60 minutes! This supercharged treatment is highly active and personalised to every individual skin. The treatment targets stubborn skin concerns including ageing, pigmentation, acne, congestion, sensitivity and dehydration. 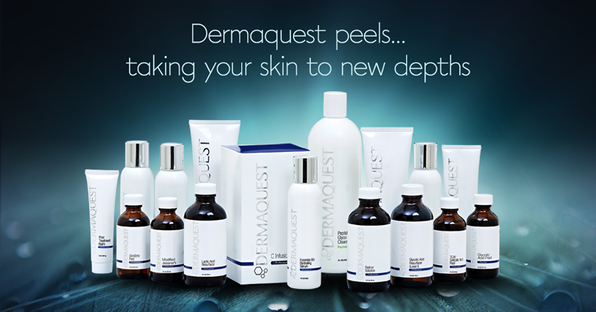 Your skin will look and feel dramatically improved after one treatment. You can have a treatment as a stand-alone service or a series of 3-6. 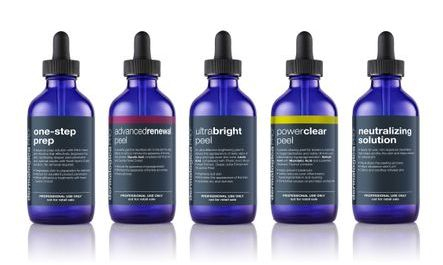 Power Clear Peel consists of 10% Mandelic Acid, 2% Salicylic Acid and 15% Malic Acid. This acid blend targets blemishes, kills acne bacteria, reduces oil, and minimizes post-inflammatory hyperpigmentation. UltraBright Peel consists of 30% Lactic Acid blended with Phytic Acid, Grape Juice and Tangerine Peel Extracts. Lactic Acid is one of the most effective and least irritating Alpha Hydroxy Acids. It is also a humectant that improves barrier function. This antioxidant formula blend helps to increase cell turnover, brighten and hydrate skin. Advanced Renewal Peel consists of 30% Glycolic acid complexed with Opuntial Flower extract and Phytic Acid to treat advanced signs of aging such as fine lines, wrinkles and hyperpigmentation. *Take home a FREE Post-Peel Maintenance Kit. ​Retail price of Post-Peel Kit is $40. Barrier Defense Booster is concentrated Oat Oil with Squalene to restore balance to sensitive skin by soothing, nourishing, and moisturizing. Ideal for relieving dryness, enforcing barrier integrity and supporting healthy skin. Microfoliant is a gentle exfoliating powder blended with Rice Enzyme, Green Tea and Oatmeal to polish flaking skin and brighten pigmentation. Download a Post-Care Instruction Sheet here. If you are lactating, pregnant or think you might be pregnant. If you are taking prescribed acne medication, such as Isotretinoin (Accutane), you must discontinue use for at least 6 months prior to a chemical peel. If you have active herpes simplex (cold sores) on treatment area. If you have sun allergies. If you have had any prior adverse reaction to a skin peel. If you had recent radiation treatment for cancer. If you have had sunburn, significant sun exposure or wind-burn within the last 2 weeks. If you have had surgery within the last month in the area to be peeled. If you are currently using antibiotics (which may cause skin to be ultra-sensitive). If you are using a chemical depilatory treatment you must wait a week prior to receiving a chemical peel. If you have received a cosmetic or resurfacing skin procedure such as laser or a chemical treatment you must wait 2 weeks prior to receiving a chemical peel. If you have received Botox® or other injectable procedure, you must wait 2 weeks prior to receiving a chemical peel. 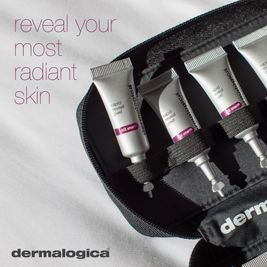 It is advisable that all clients prep their skin for 2 weeks prior to any Dermaquest peel using the 4 products contained in the Essential Starter Kit (Essential Daily Cleanser, Skin Rehydrating Serum, Essential Moisturizer & Daily Moisturising Lotion SPF 15). Maximum success is achieved by building the strength of the skin to better tolerate future, more aggressive treatments and preventing skin sensitivity. In addition, for those clients with a skin Fitzpatrick Type 4 or above it will be necessary for them to also incorporate Skin VitaBrite (a melanin-suppressing product) into their prep routine to reduce the risk of Post Inflammatory Pigmentation. These treatments may cause increased sensitivity to the skin depending on the skin type and home care regime. Avoid sweating, exercising, hot baths or showers, scrubbing, picking or rubbing which could lead to scarring. If you are using Retinoids, AHA or Benzoyl Peroxide products only re-introduce them to the skin once it has healed. You must cease using these for at least one week prior to treatment. In addition, no facial waxing for 1 week prior to treatment. Protect the skin from direct sun exposure with a chemical-free broad spectrum sunscreen for a minimum of 3 days post-treatment to prevent hyperpigmentation. It is recommended that you purchase a take home Post Treatment Kit (containing Delicate Cleansing Cream, Skin Rehydrating Serum, Skin Rebuilding Serum & Daily Moisturising Lotion SPF 15).